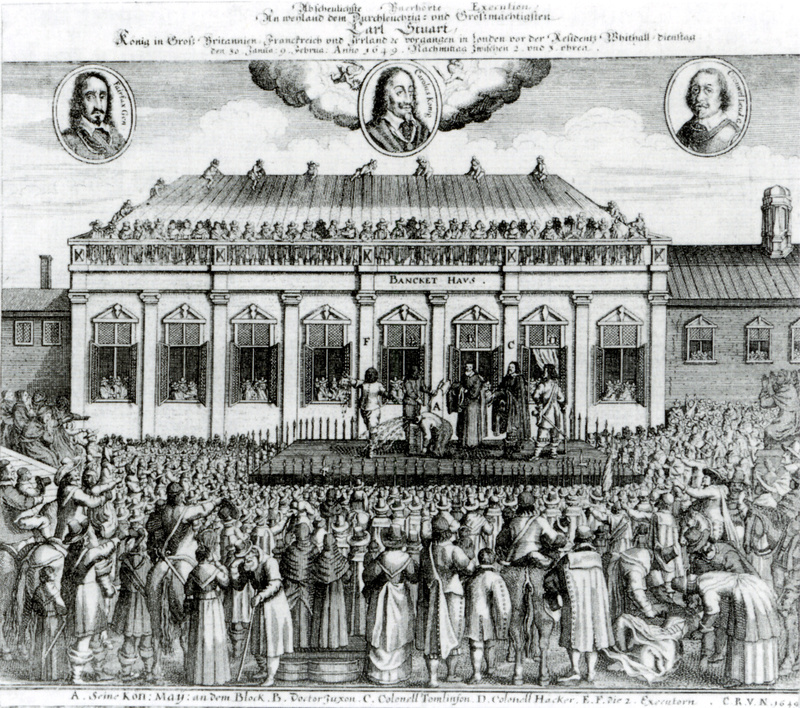 Was there something in the water in 16th century England? While the throne was no stranger to spectacle, the 1509 coronation of the second Tudor monarch, Henry VIII, marked an especially turbulent period in English history. 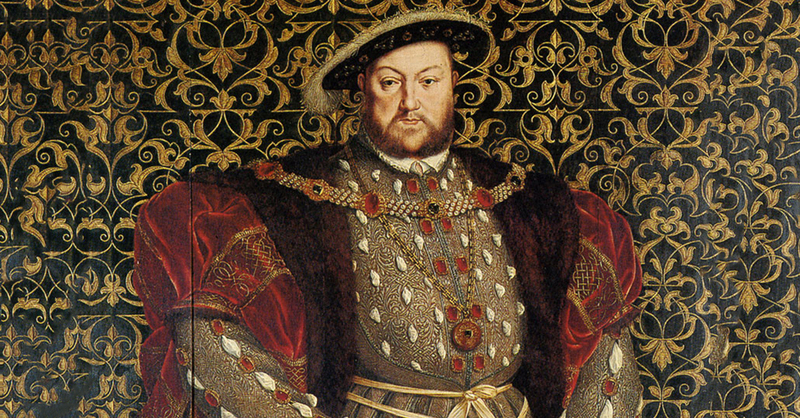 While Henry VIII is best remembered for his multiple marriages—and the way that a few of them ended—he was far from the only drama magnet in his court. During Henry’s twilight years, the ambitious siblings of his doomed third wife Jane Seymour began duking it out behind the scenes in an attempt to grab onto whatever form of power they could. After he passed, their battles only became more public. 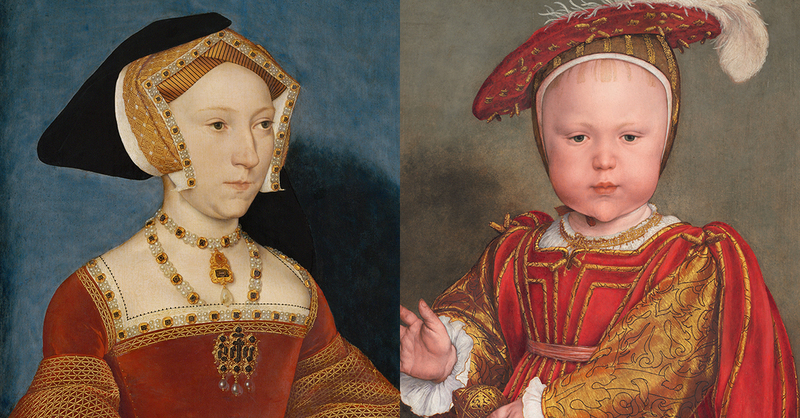 Although Henry seemed to pay them little mind, and their sister Jane never lived to see their more shameful exploits, Edward and Thomas Seymour were undoubtedly two of the messiest people to ever grace the Tudor court. Sir John Seymour, patriarch of the Seymour clan, was knighted by Henry VII around the same time that Henry VIII was born, and he would go on to serve in the latter’s court as well. That’s how his daughter Jane first became a lady-in-waiting for Henry VIII’s first two wives, Catherine of Aragon and Anne Boleyn. That position put her directly in the king’s gaze, and it wouldn’t be long before he was pursuing her romantically. They were betrothed the day after Boleyn’s execution, and married 10 days later. If Seymour was made uncomfortable by her proximity to such unsavory manners, she didn’t show it, and set about producing an heir for her king. While she was ultimately able to give Henry a son, the cost would be her own life: she died of complications from childbirth. That son, Edward VI, would before long be at the center of her brothers’ machinations. 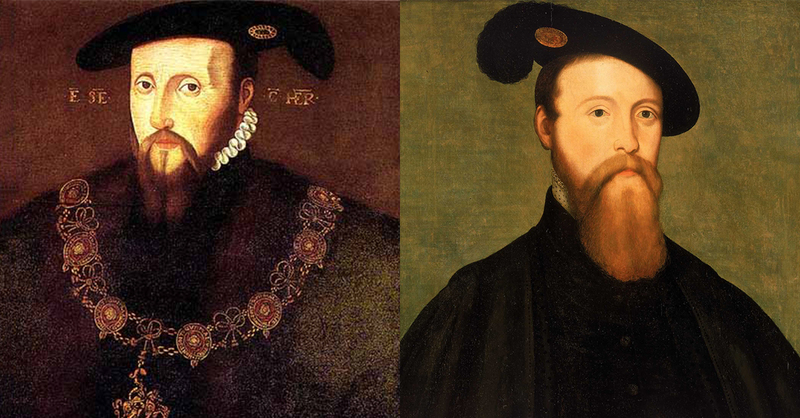 Upon their sister’s advantageous marriage, her brothers Edward and Thomas Seymour both found a place within the court. Edward was made Viscount Beauchamp and Earl of Hertford. Even when their sister died, they retained positions in the court, as they were now “royal uncles” to the infant Edward. Thomas was actually enlisted to meet his brother-in-law’s next wife, Anne of Cleves, at Calais while she was on her way to wed Henry VIII. They remained in the King’s favor until his death. When Henry died, Edward Seymour had found his place within the group of 16 executors in charge of Henry’s will. After many disputes, Edward became the Lord Protector and Governor of the King’s Person—essentially, regent. 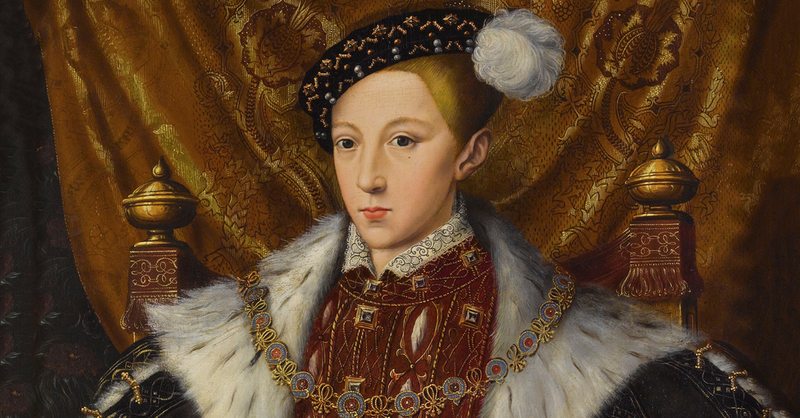 After all, Henry’s son, Edward VI, was only nine years old when his father died and he was named king. It’s likely that he manipulated many of the other executors into giving him the position, where he would be able to guide his young and impressionable ward. As well, both Edward and Thomas exploited a bizarre clause in Henry’s will in order to give themselves new titles: 1st Duke of Somerset, and 1st Baron Seymour of Sudeley, respectively. For his part, Thomas found his own insidious way into a position of power. 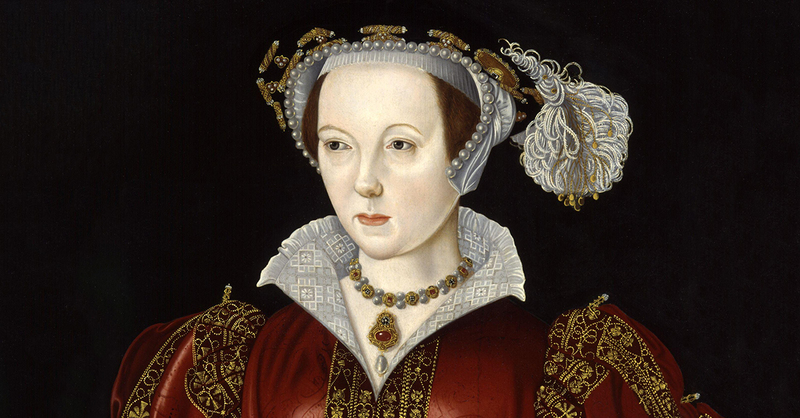 He’d always been on the lookout for an advantageous marriage, and had considered pursuing either Princess Mary or Princess Elizabeth, Henry VIII’s daughters, when they were both still disturbingly young. He’d also had something of a romance with Catherine Parr when she’d been a lady-in-waiting, but when Parr caught the king’s eye, she chose the monarch over Thomas. Because of this, Thomas had been working away from England since Parr had been crowned until just before Henry died. He conveniently returned to England as an eligible bachelor just as Parr was made an incredibly wealthy widow. They rekindled their romance, and were secretly married just months after Henry’s death—much to the chagrin of many in the court. Thomas was now in a position of some influence, and in his new residence with his recent bride, was also in close proximity to another source of power. Parr lived at Chelsea Manor in London with Elizabeth, Henry’s second daughter, who was 14 when Thomas moved in. Thomas’s behavior with Elizabeth soon took a turn for the inappropriate, and Elizabeth’s governess reported her concerns to Parr. At first, Parr laughed it off, but when she became pregnant, she decided to send Elizabeth away. After Parr died during childbirth, Thomas’ attentions turned back to Elizabeth, but she wisely avoided him. Thomas Seymour was now a rich widower, and he decided to focus all of his efforts on his brother’s charge, Edward VI. Tensions had begun to flare up between the brothers (and their respective spouses) from the time that Thomas married Catherine Parr. After Edward had been given the de facto position of regent, Thomas had grown incredibly jealous. Meanwhile, Edward’s wife Anne had disapproved of her brother-in-law’s union with Catherine Parr, and did her part to try to turn people against the couple in the court. By the time that Parr died, the two couples were already in a full-blown rivalry. Whereas Edward was the official protector of the young king, Thomas’s approach was to try to ingratiate himself with the boy, acting as more of a friend than an authority figure. First, Thomas penned a letter in support of his marriage to Parr for the king to sign—something that angered his brother. In order to curry favor with Edward VI, Thomas then began to give him a small allowance; while the king could want for nothing, he was never given pocket money, and he enjoyed Thomas’s little contributions. While the little King may have enjoyed the attention, he was not one to be so easily manipulated—a fact that drove Thomas mad. The harder he tried, the more distant Edward VI became, and he could never gain the level of influence he desired. His desperation began to show, and he became a bit too loose with his words while his brother was away on a military campaign in Scotland. It was clear that something had to be done about Thomas. Despite their feud, when Edward returned, he tried to spare his brother, but Thomas was out of control. He tried to break into the King’s apartment one night and shot one of the boy’s beloved spaniels when it barked at him. The circumstances of this incident—being found outside the King’s chambers with a loaded pistol—would lead to his arrest. He was convicted of treason and executed in March 1549, less than two years after the marriage that he thought would bring him all the power and influence he desired. While all these machinations went on behind court walls, terrible conflict was raging in England beginning in 1548. As regent, Edward Seymour was held responsible for the failure of the government to respond to the unrest, and in 1549, he was the subject of a type of coup d’etat. There are three constants in life: death, taxes, and embarrassing family members. Perhaps if their sister Jane had lived to see the chaos they made, she would’ve had her over-ambitious siblings expelled from court much earlier. Instead, history left us with the Seymour brothers: two power-hungry men who simply could not take “no” for an answer, and who were left flailing about madly when finally faced with the fact that they might never get what they wanted. Of all the minor characters in the Tudor court, they were undoubtedly the messiest.